While most people understand that podiatrists are foot doctors, many people still may not comprehend a podiatrist’s work and the various conditions a podiatrist treats. Various foot problems that many people experience and that a podiatrist can treat include plantar fasciitis, ingrown toenails, bunions, hammertoes, and flat feet. If you are experiencing pain in the feet or ankles, don’t join the stubborn majority refusing treatment. Feel free to contact one of our podiatrists from Carolina Foot & Ankle Specialists. Our doctors provide the care you need to keep you pain-free and on your feet. If you have any questions, please feel free to contact one of our offices located in Huntersville, Mooresville and Mountain Island, NC. We offer the newest diagnostic and treatment technologies for all your foot care needs. Diabetic foot care is important in preventing foot ailments such as ulcers. If you are suffering from diabetes or have any other concerns about your feet, contact one of our podiatrists from Carolina Foot & Ankle Specialists. Our doctors can provide the care you need to keep you pain-free and on your feet. Preventing running injuries involves several things, including being mindful of your own feet’s health. Conditions such as plantar fasciitis can result from too much stress on your feet or factors such as improper footwear. Make sure to replace your shoes every 500 miles and to wear properly-fitting shoes that provide support. Socks can also influence your foot health. Make sure to choose lightweight, breathable socks. Proper hygiene and foot massages can both help alleviate pain in your feet experienced from injuries. 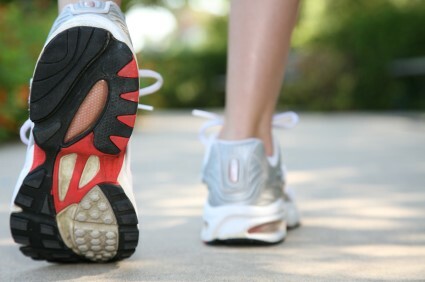 Exercising your feet regularly with the proper foot wear is a great way to prevent injuries. If you have any concerns about your feet, contact one of our podiatrists from Carolina Foot & Ankle Specialists. Our doctors can provide the care you need to keep you pain-free and on your feet. Chicago Bears running back Jeremy Langford was expected to miss four to six weeks with a sprained ankle. He suffered the injury when the Bears played against the Cowboys and lost 31-17. He was soon replaced by a rookie named Jordan Howard who was the Bears fifth-round pick. There wasn’t a timetable for Langford’s return to gameplay, however he was seen wearing a walking boot in the AT&T Stadium visitor’s locker room. Ankle sprains are common, but need immediate attention. If you need your feet checked, contact one of our podiatrists from Carolina Foot & Ankle Specialists. Our doctors can provide the care you need to keep your pain free and on your feet. A broken foot requires immediate medical attention and treatment. If you need your feet checked, contact one of our podiatrists from Carolina Foot & Ankle Specialists. Our doctors can provide the care you need to keep your pain free and on your feet. Albert Pujols was slowed for weeks by what he found to be plantar fasciitis in his right foot in early September, the same condition that had affected his left foot. Plantar fasciitis had ended Pujols’s 2013 season in July. Pujols is confident that he’ll “have plenty of time to take care of myself in the off-season.” Currently, Pujols is “doing whatever it takes to help this club win as many games as we can,” determined to keep playing. Plantar fasciitis can be very painful and inconvenient. If you are experiencing heel pain or symptoms of plantar fasciitis, contact one of our podiatrists from Carolina Foot & Ankle Specialists. Our doctors can provide the care you need to keep your pain free and on your feet. If you have any questions please feel free to contact our office located in Huntersville, Mooresville and Mountain Island, NC. We offer the newest diagnostic tools and technology to treat your foot and ankle needs. 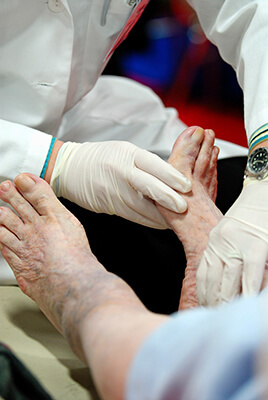 Proper foot care is something many older adults forget to consider. If you have any concerns about your feet and ankles, contact one of our podiatrists from Carolina Foot & Ankle Specialists. Our doctors can provide the care you need to keep your pain free and on your feet. 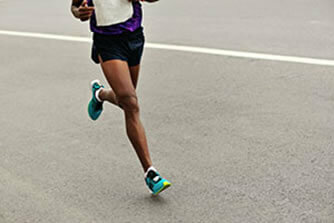 Runners can still be prone to running injuries even with proper precautions. If you are suffering from a running injury, contact one of our podiatrists from Carolina Foot & Ankle Specialists. Our doctors can provide the care you need to keep your pain free and on your feet. If you have any questions, please feel free to contact our offices located in Huntersville, Mooresville and Mountain Island, NC. We offer the newest diagnostic tools and technologies to treat your foot and ankle needs. Finding a properly-fitting shoe is important in reducing injuries and preventing foot problems. For more information about treatment, contact one of our doctors from Carolina Foot & Ankle Specialists. Our doctors can provide the care you need to keep your pain free and on your feet. If you have any questions, please feel free to contact our offices located in Huntersville, Mooresville and Mountain Island, NC. We offer the newest diagnostic and treatment technologies for all your foot care needs. A study published by the Journal of Applied Physiology has determined that long-term high heel use can have detrimental effects on the legs’ muscles, such as muscle strain and muscle fatigue. According to the study’s abstract, long-term high heel use has been found to “shorten medial gastrocnemius muscle fascicles and increase Achilles tendon stiffness.” The study’s results are consistent with reports that high heel wearers often experience discomfort, pain, and tiredness. It also suggests that “long-term high heel use may compromise muscle efficiency in walking”. High heels have a history for causing foot and ankle problems. If you have any concerns about your feet or ankles, contact one of our podiatrists from Carolina Foot & Ankle Specialists. Our doctors can provide the care you need to keep your pain free and on your feet.